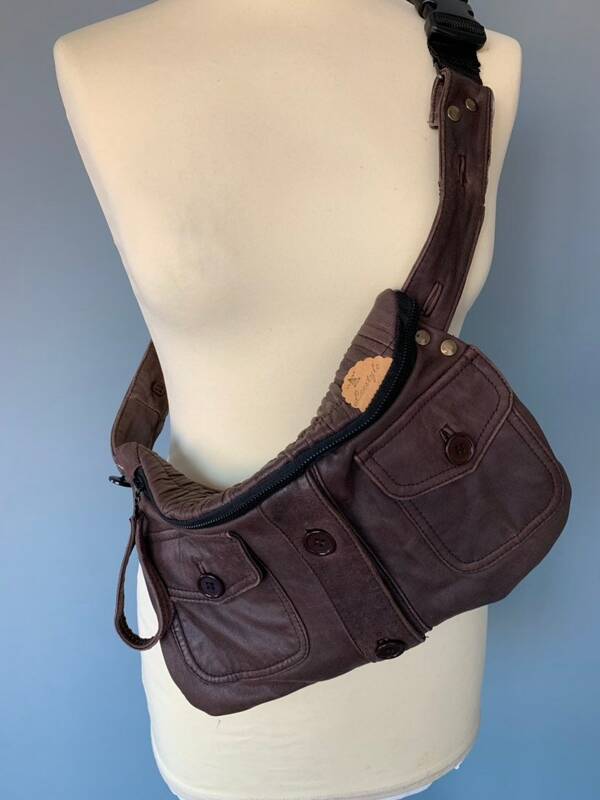 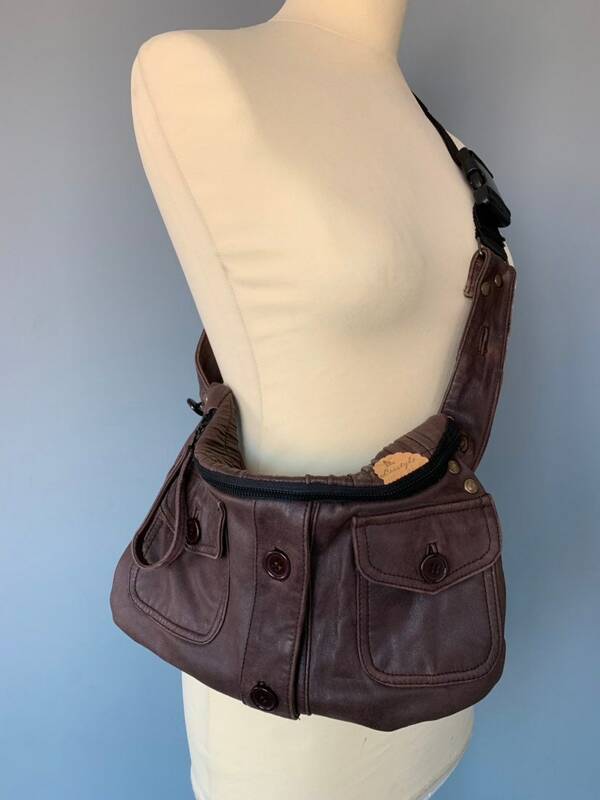 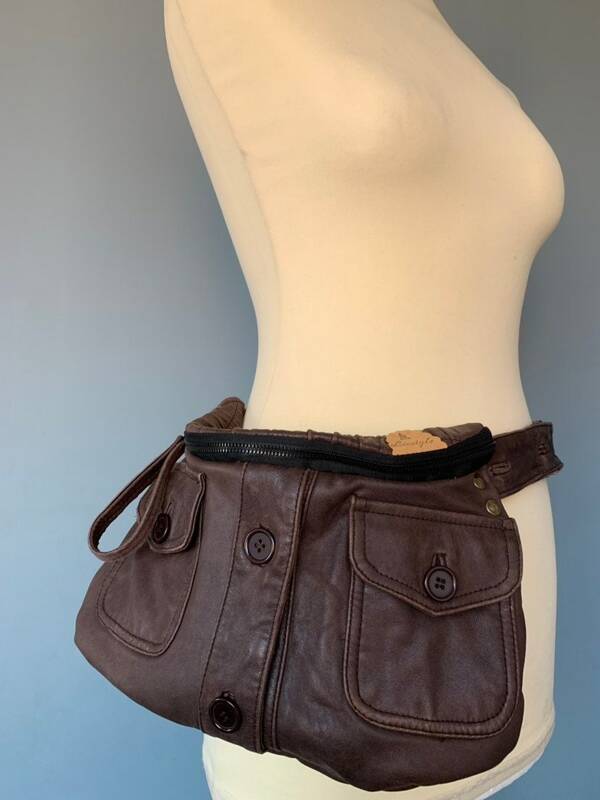 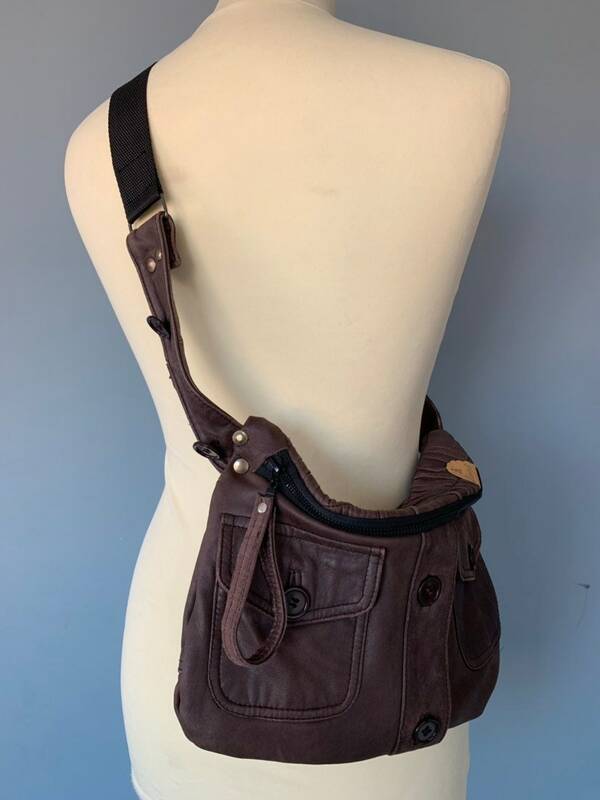 This Hip bag is made of leather. 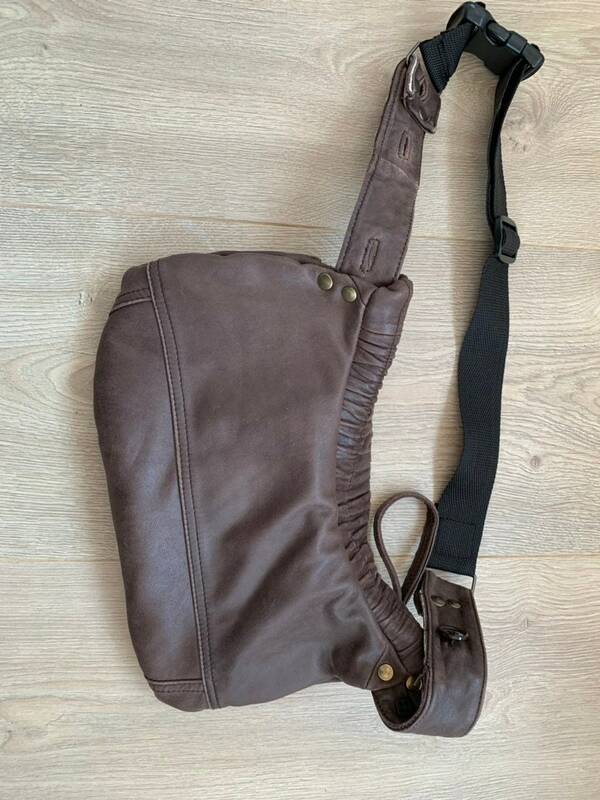 Lockable with a zipper decorated with cord. 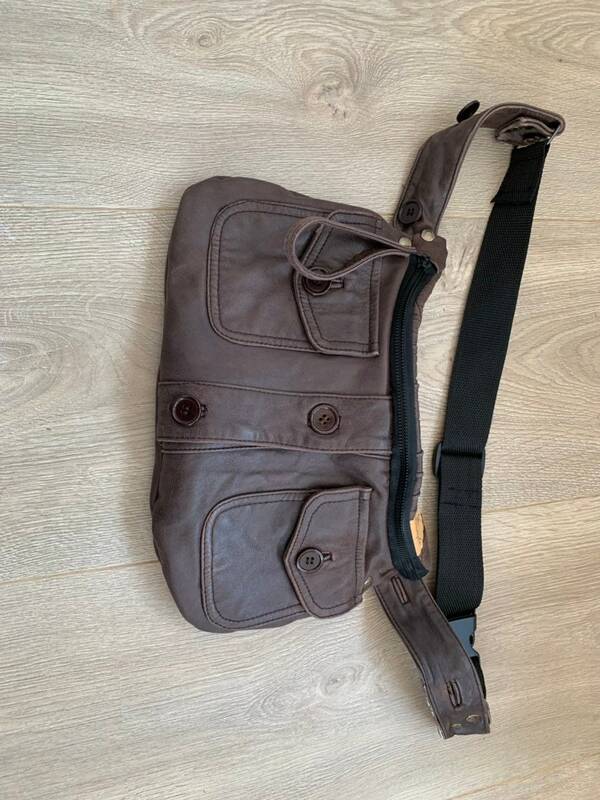 At the front are 2 pockets with a knot. 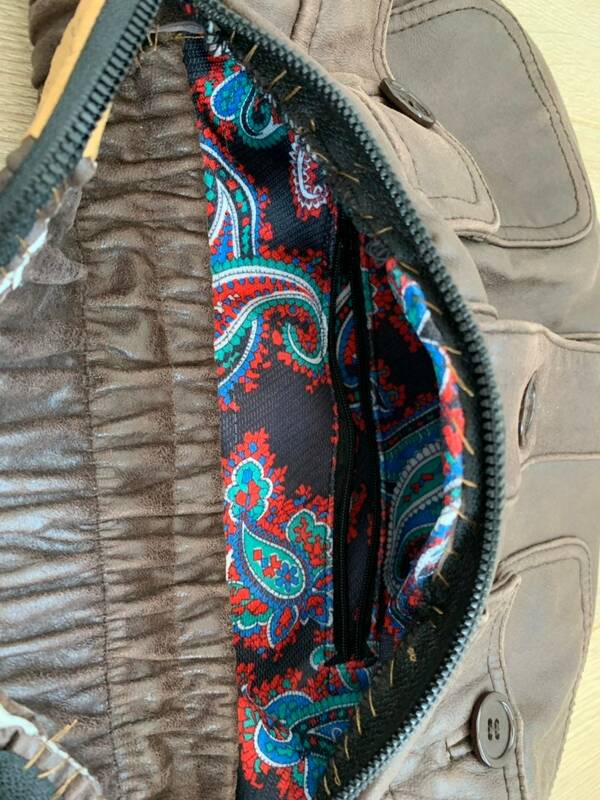 Inside The bag is a coloured cotton lining with a pocket that is lockable with a zipper.